Remember the “Bet You Can’t Eat Just One!” tagline? What the marketers behind those hard to resist potato chips wanted to convey is that their product is so delicious you would be compelled to eat more. No level of willpower could stop you. “A reasonable portion will satisfy you” is certainly not as compelling a slogan. What is it about junk food that makes us go over-board, over and over again? 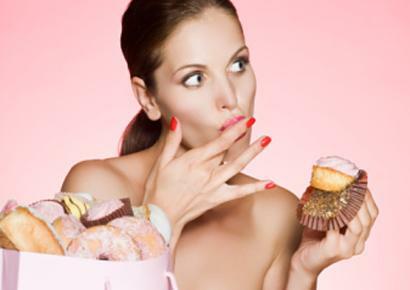 Could it be that these foods are addictive? Hard-to-resist and addictive are not the same thing. An addictive substance is something to which a person can develop a physical dependence. Foods, even potato chips, have long been thought incapable of creating actual, physical addiction. However, in the last year or so certain substances in foods have been researched to understand their drug-like and potentially addictive properties. One such substance is the endocannabanoid. Endo- describes a substance made inside of us, and Cannabanoid describes something that has a marijuana-like effect on the body. One animal study demonstrated that endocannabinoids increase in the body following feeding with a high fat diet. And what happens when endocannabinoids increase? The munchies! Basically, this research shows the possibility that high fat foods are not only, themselves, harmful to health. They may cause you to eat excessive portions. Indeed, bet you can’t eat just one! Another group of interesting substances is the Gluetomorphins and Caseomorphins. These are morphine-like substances that come from casein (milk protein) and gluten (wheat protein). These proteins interact with the opiate receptors in the gut and brain. Not all people are sensitive to gluteomorphins and caseomorphins. However, for those who are affected, gluten and casein are broken down into short chains of proteins that, should they escape through the gut and make their way to the brain, mimic the effects of heroin or morphine. Addictive, indeed. As a final example, one of the most common self-diagnosed food addictions is an addiction to chocolate. Chocolate is just one of many foods with the alluring blend of fat and sugar. Chocolate also contains biologically active compounds, polyphenols, which may have a health benefit to the body. Several research studies have been performed with daily doses of 20-30 grams (less than two tablespoons) of polyphenol-rich chocolate; observing for benefits in glucose metabolism and cardiovascular health. But it is not the polyphenols that drive someone to become a “chocoholic.” It is the fat and sugar. Our primal ancestors did not have regular access to sugary and fatty foods, so we are all equipped with a biological drive to consume such foods when present that comes from an earlier time in human history. So, it’s the caveman/woman in you that is taking a third trip to the freezer for the salted caramel gelato. It turns out that foods high in sugar, salt and fat stimulate the pleasure centers in the brain, like a drug. So it is not only the chocolate that’s potentially addictive, it’s the salt/fat/sugar blend. Food manufacturers know this very well and create foods that hit the so-called “bliss point,” so you eat more (and more). What can you do if you feel like you are out of control with certain foods? In my practice I find a few strategies very helpful. One is to use enzyme nutrition to help the body absorb nutrition better. Better nutrient absorption and eating a more balanced diet will reduce food cravings. Another strategy is to break the addictive pattern with an elimination diet. One such program I have discussed in the blog before is The Ultrasimple Diet. Sometimes a period of withdrawal is enough to break the cycle of food addiction or compulsion, and cleanses or eliminations diets are great for that. Acupuncture or EFT (emotional freedom technique) can help with the emotional aspects of eating and impulse control. Hypnosis can also be a real game-changer. Mindfulness meditation can also be a help to compulsive eaters. Truly, when was the last it time you sat down to eat and just ate, focused on your meal without multi-tasking? Finally, for those who are overweight and addicted to unhealthy foods, I love the Take Shape for Life program. What about folks who truly struggle with food addiction on an extremely deep level? Perhaps you have tried some of the approaches above but have not been successful? For some people I do recommend one-on-one counseling with a therapist or life-coach, especially one with a professional focus on eating issues. Eating disorders can affect men and women or any age. Overeaters Anonymous (OA), a 12-step program, has helped many to control their eating and has free meetings across the country and online. Here’s wishing you a healthy relationship with foods in the coming year!